“Huh, what’s this? 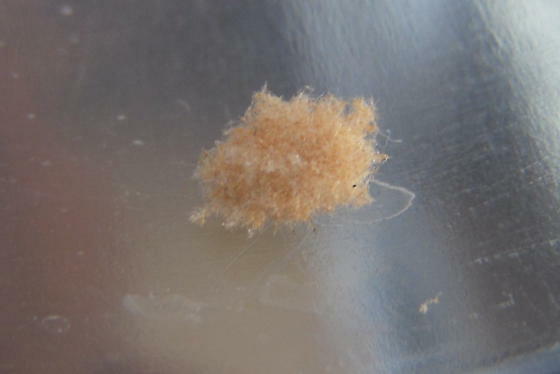 How does a tiny ball of lint move by itself?” Sitting in my adirondack chair outside, I saw a 1/4″ ball of fuzz on the armrest move. I am more curious than squeamish, so I looked closer to see a very well-camouflaged insect with barely visible, tiny feet. I tried prying the lint off, it was pretty well stuck on, and the mandibles on the thing looked formidable, even though it was tiny! I didn’t try too hard, it obviously needed this baggage as protection, having worked diligently to collect it in the first place! My curiosity demanded I know what this was, so off to the internet (don’t you just LOVE search engines?). 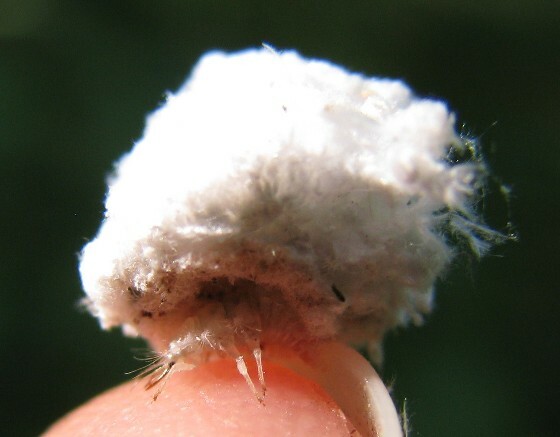 I searched “lint bug” and up came plenty of images of debris-carrying insects. BugGuide.net offered the information I was looking for. Turns out my little buddy was a Green Lacewing larva and it carries debris to protect itself from predators – makes sense! Lacewings are valuable predators to have in the garden, eating aphids, etc. so I was happy to know I have some in the yard. The adults are beautiful – grass-green with translucent wings, shiny bronze eyes and long antennae. My inquiring mind always needs to know, particularly in the garden, whether I am confronting a friend or foe. I never dispatch an unknown critter without first finding out what it is. Big front mandibles usually are a clue to what is a friend to me and a foe to other insects. I love Tiger Beetles – their larva are ferocious-looking like something from a Star Wars movie. My favorite is the Six-Spotted Tiger Beetle, a flashy, iridescent-peacock-green adult that flits around in early summer. They signify a healthy ecosystem. Sometimes friend/foe are mixed, like wasps and hornets that sting when I inadvertently get too close to their nests, but prey on lots of insects to feed their young, not to mention pollinating certain flowers. As gardeners we come across all sorts of insects, some really revolting, like Potato Beetle larva (ugh). We have to decide whether to let them munch away, hoping they don’t eat so much that they destroy the plant or, we send them to the next life. (Slugs are my nemesis and they are ruining my karma on this earth!) I prefer to live and let live, but sometimes I have to protect my crops and flowers. Ultimately, the truth is, Nature ALWAYS wins and I take the results as best I can. I don’t believe we have dominion over Nature, she owns us! Like a patient mother clucking over her wayward children, I envision her shaking her head, knowing that sooner or later, we’ll figure it out. 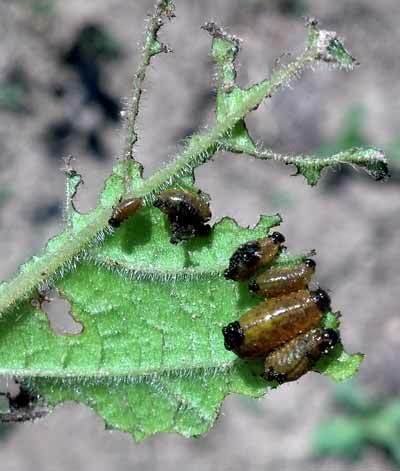 This entry was posted in Country Gardening, Field Notes and tagged Arthropoda, beneficial insect, Biology, bugs, Chrysopidae, Flora and Fauna, gardening, Insect, lacewings, Larva, potato beetle, slugs, Star Wars, tiger beetle. Bookmark the permalink. Honey, you can have my slugs, some are big enough for escargot! Gross! This is great! I love Lacewings, but had no idea the larvae carried stuff! Wow! Thank you for your curiosity and follow through! Thanks, Mary, for your comment and visit!